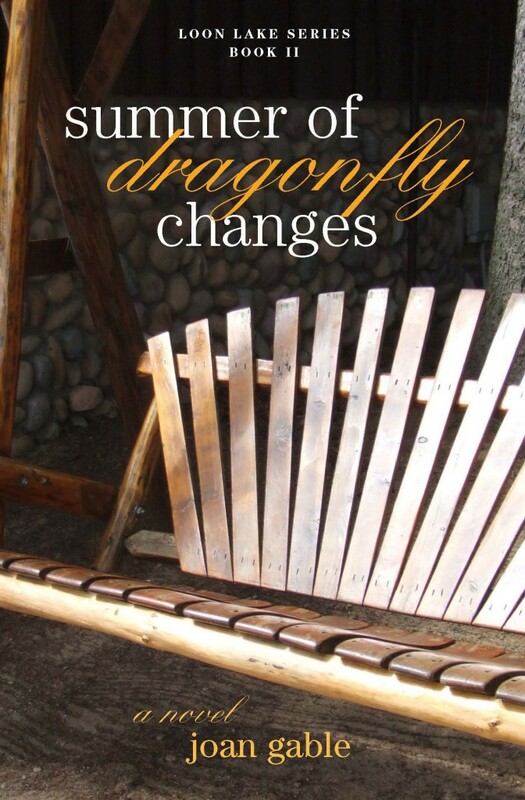 Summer of Dragonfly Changes, a women’s fiction novel, is the second book in Joan’s Loon Lake Series. From cool April rains in Minnesota to the warm fall harvest in Napa Valley, SUMMER OF DRAGONFLY CHANGES will take you on a journey of friendship, family and love. Imagine a second chance at something you really care about and taking that chance because you have to. In SUMMER OF DRAGONFLY CHANGES, Samantha McGreggor returns to Loon Lake and finds herself back in Jake Hunter’s life and up to her ears in family drama – again. Only this summer, it’s not just her family drama. Jake’s sister Dana is devastated by a divorce she never saw coming. Can Sammy and Jake help her mend her broken heart? Jake’s cousin Vince is losing his mother to cancer. Can Sammy and Jake keep him from losing his joie de vivre? As Sammy knows, the adult dragonfly only has a few months to fly and live – making it a symbol for living in the moment. Will Sammy take a lesson from the dragonfly this summer and live her life to the fullest? It’s been a long, hard year and it’s time for a SUMMER OF DRAGONFLY CHANGES. You loved Sammy and the gang in SUMMER OF FIREFLY MEMORIES. They’re back together the following summer and just as fun, loving, and dysfunctional as ever.